A mortgage is likely the biggest loan you ever apply for – and far too often it is also the hardest one to understand. worse yet – are the number of people I see who don’t fully understand the loan term, financial impact of the mortgage decisions they make. 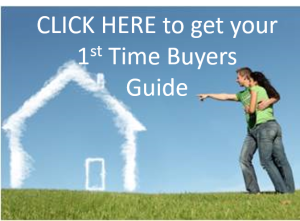 Your Realtor will most likely be able to give you a copy of a First Time Home Buyers Guide – but those RARELY address the specific terms, products and features you need to be aware of regarding your mortgage. If you don’t like the thought of making uninformed decisions about your financial future – use one of these resources to understand your mortgage! Our Mortgage Prep e-Course – 12 lessons delivered over a 3 week period to give you an in depth look at every aspect of mortgage financing! Ownership Strategy – a 30 minute (max), stress free phone consultation where you can ask specific questions about your situation and goals. You will leave with a strategic plan and action items to help you move toward “kissing your landlady good bye”! If you feel you are ready to start the mortgage application now – please click on the APPLY NOW button below and complete the application form. It will be securely sent to me and I’ll call you back to discuss your specific situation!